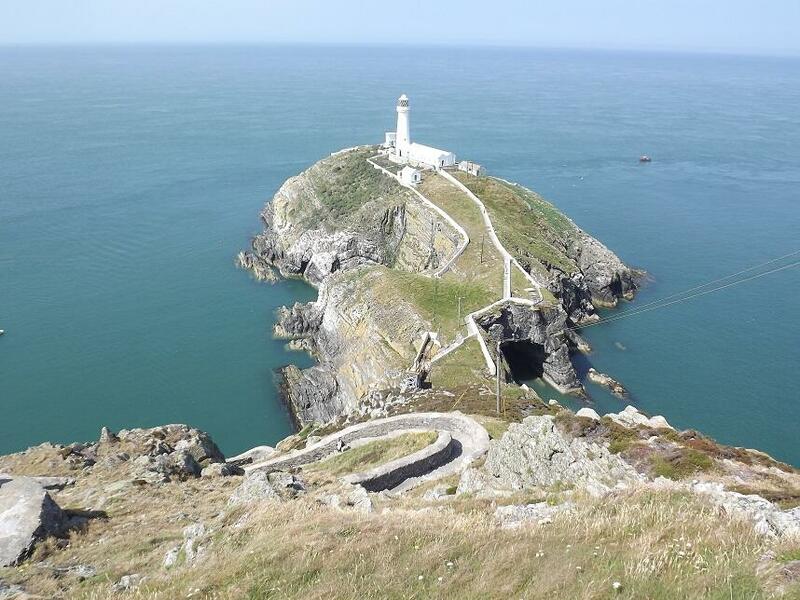 I visited RSPB South Stack reserve last Saturday, had a fab day, here's my little write up and a few photos & video. 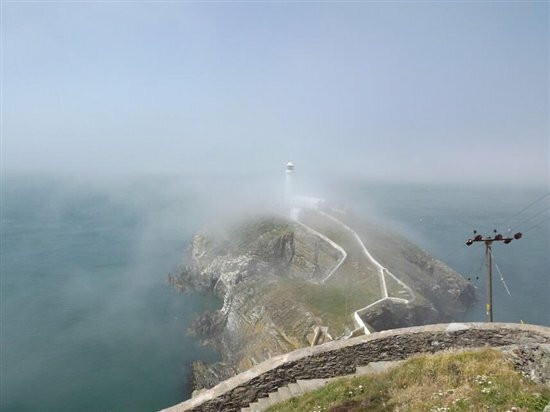 South Stack was the first seabird colony I ever visited a couple of years ago. Since then I have been fortunate enough to have visited Bempton Cliffs & my personal favourite Skomer Island. After having already visited both Bempton (in May) & Skomer (in June) in the last 6 weeks or so I wished to conclude my "tour" of the seabird colonies for this year with a trip west to where it all began. On arrival on Saturday morning it was warm, not as hot as the previous few days but still very nice with a bit of a sea breeze to boot. 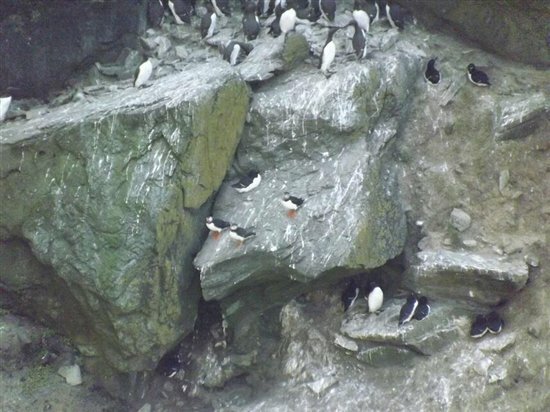 It was straight down to the cliff top viewing point where we settled for a while and had decent views of Puffin, Guillemot, Razorbill & Kittiwake. The birds aren't as close here as they are at Bempton and certainly not as close as at Skomer, the site overall is smaller yet it is still a great place to visit for the day. 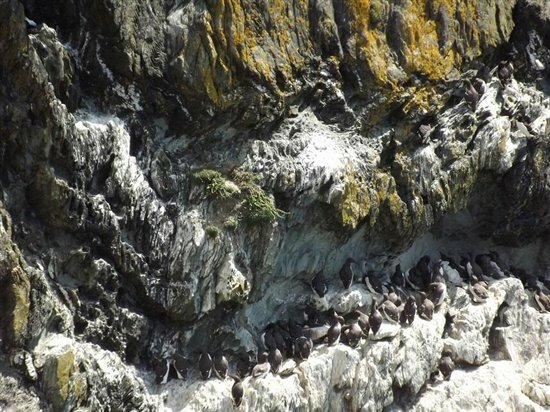 After viewing the birds for a while and taking some photographs we decided to head down the steps to the lighthouse at the foot of the cliffs, the views you get down these steps give you a completely different perspective of the seabird colony. Here we had closer views of the Puffins and the other seabirds. We spent the day milling around the two aforementioned areas as well as popping into the RSPB shop to buy a couple of souvenirs! Hi Rob, lovely to read your blog and look at the pictures - South Stack looks a beautiful place to visit - some brilliant views there. 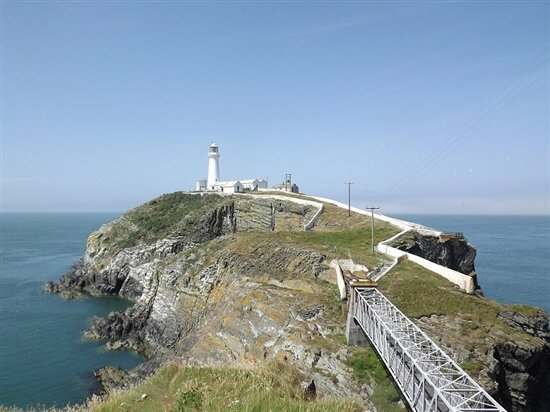 I have been to Bempton several times now, but never to South Stack or Skomer which are both on my wish list - perhaps for next year now! I wouldn't mind a trip to the Farne Islands either for that matter. Hope you get there next year. 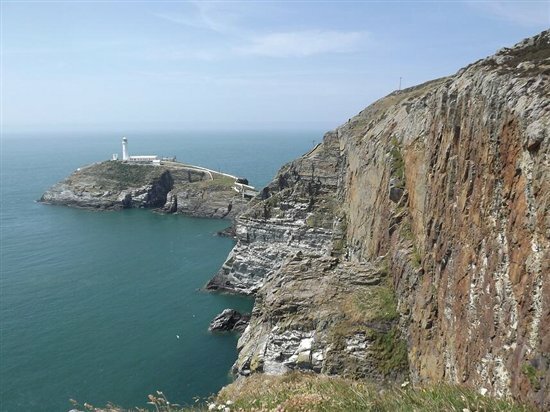 Did you manage to see the Choughs at South Stack, they are usually in the fields near the shop, it is also worth a walk to the right on the cliff edge cracking views up there, also Peregrine.